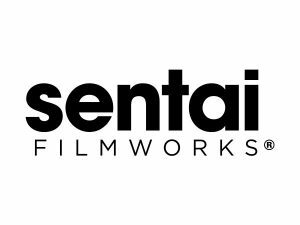 Sentai Filmworks is a global leader in anime and genre entertainment and manages one of the world’s largest anime libraries with thousands of hours of content in release across traditional and digital media platforms. As a premier strategic partner, the company offers industry-leading expertise in all facets of production, development, localization, licensing, marketing and distribution. The studio stands at the forefront of every aspect of the entertainment industry from feature film, television, Blu-ray/DVD and digital distribution as well as international and domestic product and brand licensing. Sentai Filmworks’ line of Blu-ray and DVDs are distributed by all major home entertainment wholesalers, distributors and national merchants, including both mass and specialty retailers such as Amazon, Baker & Taylor, Best Buy, Diamond, Fry’s, Hastings, Right Stuf, FYE, Alliance Entertainment, Super D, Target, Walmart and others. Sentai Filmworks’ titles are available through websites, game consoles and portable devices including Amazon, Anime Network, Google Play, Hulu, iTunes, Netflix, PlayStation Network, Rovi, Vudu, Xbox Live and more!